This Gatefold card is the perfect way to wish your loved ones a Happy Valentine's Day. 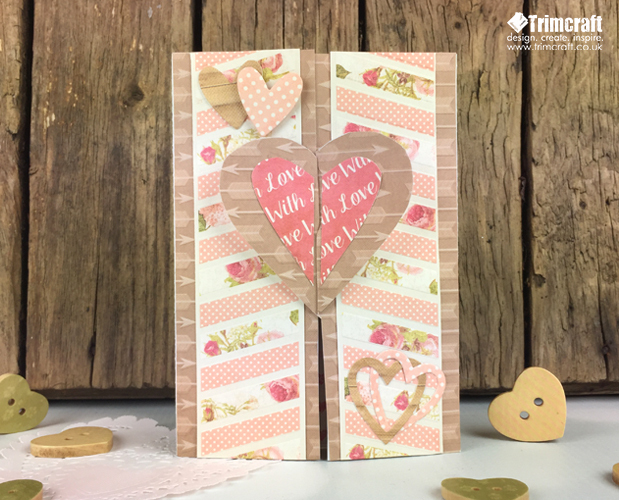 With the added twist of the heart detailing combined with the pretty First Edition Love Story papers, this card is sure to impress! 1. Print the template, lightly draw around the template onto an A4 piece of Dovecraft white laid card and carefully cut out. 2. 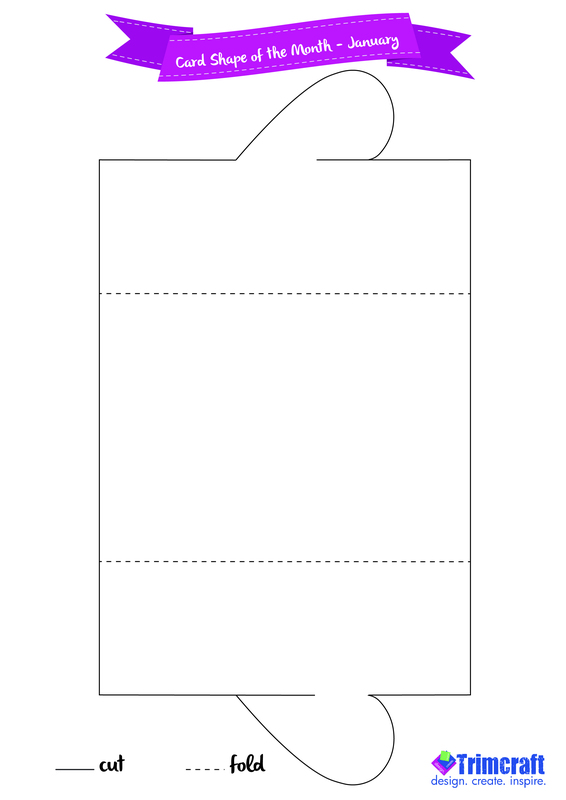 Draw around each side opening onto backing paper. Cut out and stick using craft glue to the card blank. 3. Cut out a smaller heart shape from the Love Story 8x8 paper pad and cut in half. Adhere each half to the front opening of the card. 4. Cut two 3.5cmx14cm strips from the Love Story pad and add to the front of the card ensuring that it is centered on each opening. 5. Using the Wedding die set cut out a selection of hearts from the Love Story pad and adhere to the front of the card as shown, use foam squares for dimension. 6. Cut a piece of 9.5x 13.5cm backing paper to fit inside of the card and adhere with craft glue. 7. Cut out the tag from the paper pad, with the message on and adhere to the inside of the card. This template is perfect for reusing for Birthdays, Mothers day and more! Just use a different set of papers to create a whole new theme! Share your makes or find more inspiration in the Inspiration area. You're welcome and great! We can't wait to see what you create!